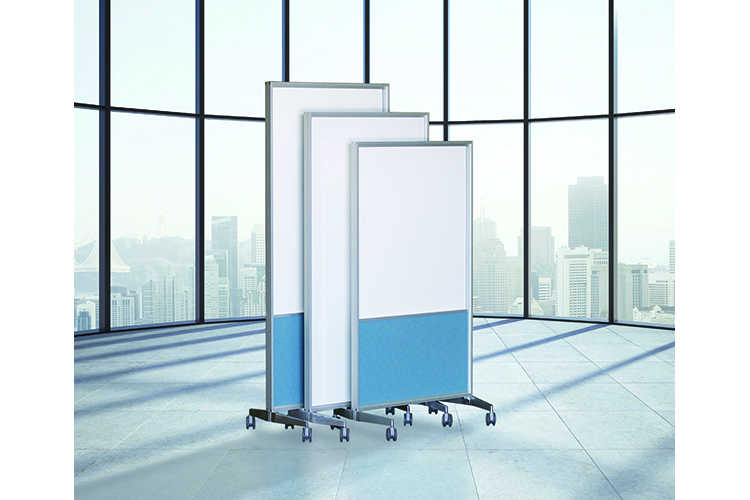 A full-height, two-sided Mobile Board System offering unlimited product solutions for any environment. 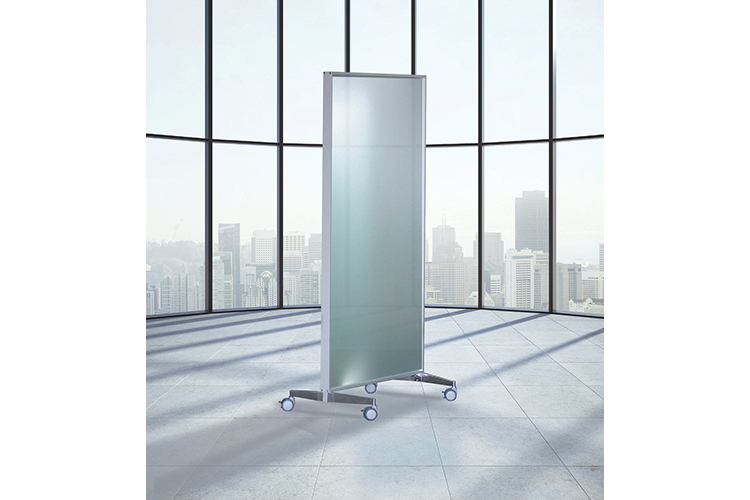 With exceptionally clean design details, Elements is a versatile single mobile board. 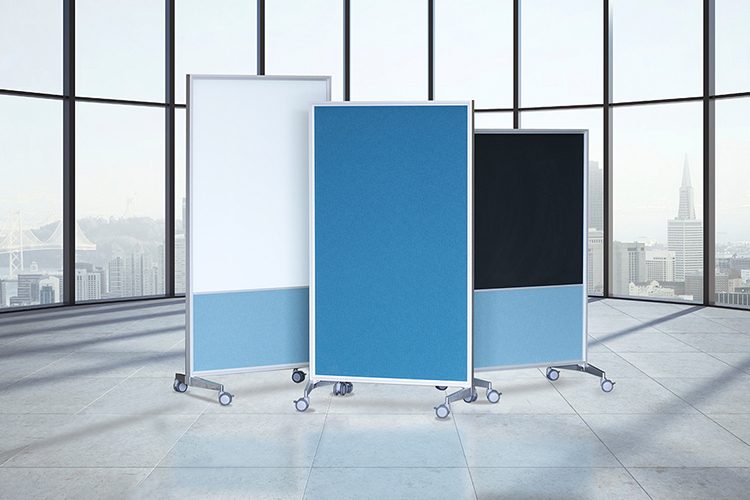 It’s available with several writing surfaces — porcelain whiteboard, chalkboards or glass. Both sides can be used for writing, or one side can be equipped with sound-damping acoustical material and used as a divider. A single side can be dual-purposed — with sound-damping below and a writing surface above. 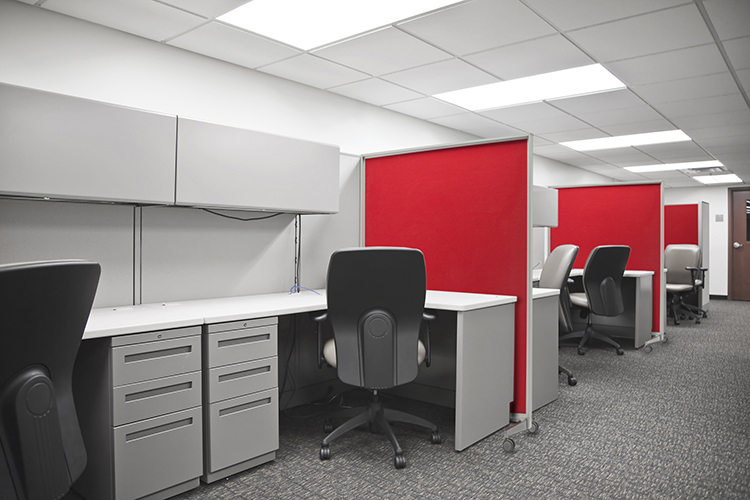 Other available surfaces include fabric, corkboard and 100% recycled rubber. It’s linkable, and comes standard with a cast aluminum base and lockable casters — while the angled foot design allows for various arrangements (circles, semi-circles, straight lines, etc.) It’s available in heights from 48" to 78" (including casters) and widths from 30" to 60".